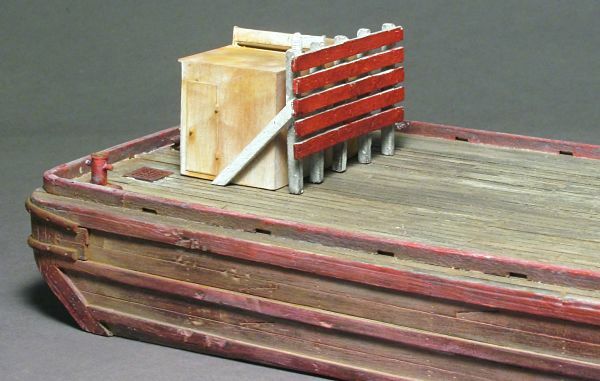 Starting in the late 1800’s through the 1940’s, railroads and shipping companies around New York Harbor and along the eastern seaboard employed hundreds of these wooden barges, or deck scows as they were sometimes referred to, to carry freight and lighterage (the local distribution of freight by water instead of rail) from ship to shore and from point to point in and around harbors and/or water ways. 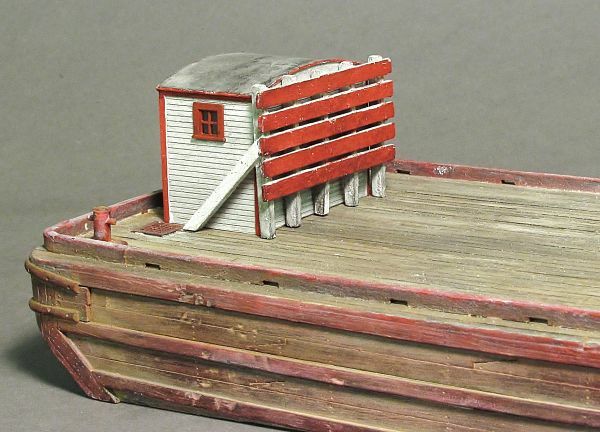 These deck scows were picked up and delivered to their destination by the fleets of tugboats usually owned by the railroads servicing the harbors in the area. 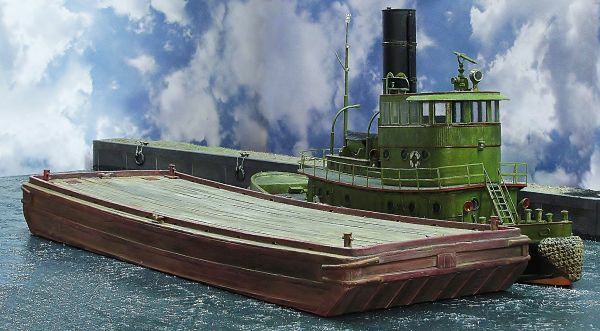 A single tugboat would tow as many as 5 or 6 barges or scows at a time and drop them off at their destination along a pre-determined route. The master for this kit was painstakingly hand planked using hundreds of individual wooden scale planks actually cut from 100 year old wood to depict each individual board. Each plank shows off natural wood grain as well as screw holes and slight unevenness of aged and well used planking. 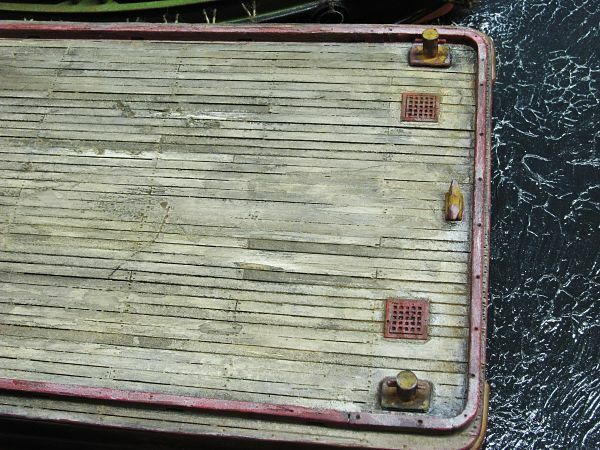 The deck and wood fenders around the barge have been lovingly distressed to simulate years of use on your waterway. 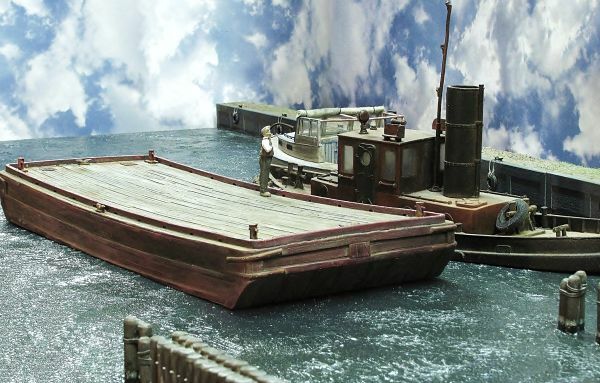 We have also built prototypical sheer and camber into the hull casting which are typically some of the hardest details to model on a ship or barge giving this kit fantastic realism! 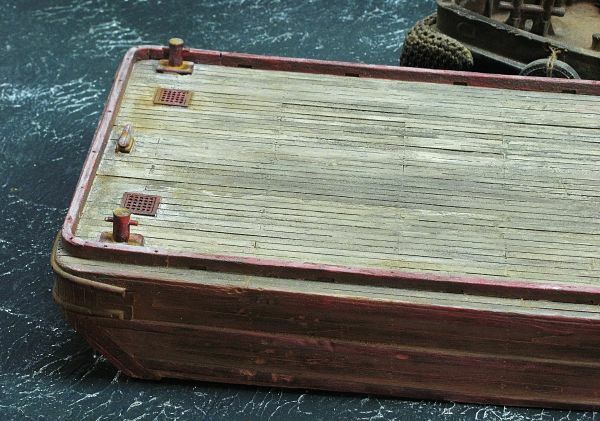 The hull is a one piece, hollow, resin casting. Detail parts include 4 lead free pewter bits and 4 lead free pewter cleats as well as laser cut wooden curbs for each side of the deck. The kit was designed for fast assembly with great detail and character already cast in place. What your friends think took you weeks to scratch build can be achieved in just a few hours! 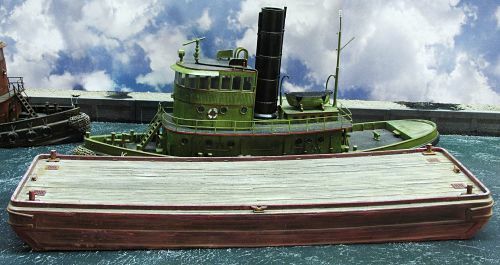 Actual dimensions are approximately 12 ½” long and 4 ¼” wide and 1 ¼” tall at the bow and stern. 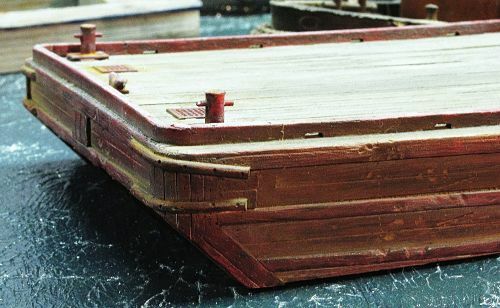 Add on to your Wooden Deck Scow by adding a captain's cabin and bulkheads and "load" or wooden cover to your order! Many variations can be achieved!